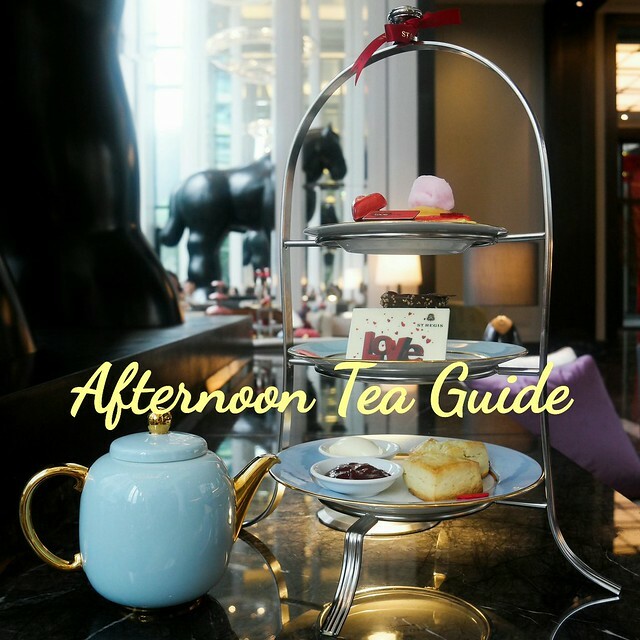 This is the first time I have a guest writer, Penny from UK, who loves cooking and baking, telling us what the perfect dessert is for the Christmas and winter day. And since it’s raining quite often lately, I decided to cook my heart warming dessert too! Let’s check out her contribution to my page. There’s no greater challenge for an amateur chef than cooking a Christmas treat that everyone can enjoy, all while still keeping the calories at bay. While the holidays are certainly a time for celebration—which, of course, include sumptuous and sinful dishes—nobody wants to deal with the post-Christmas flabs. 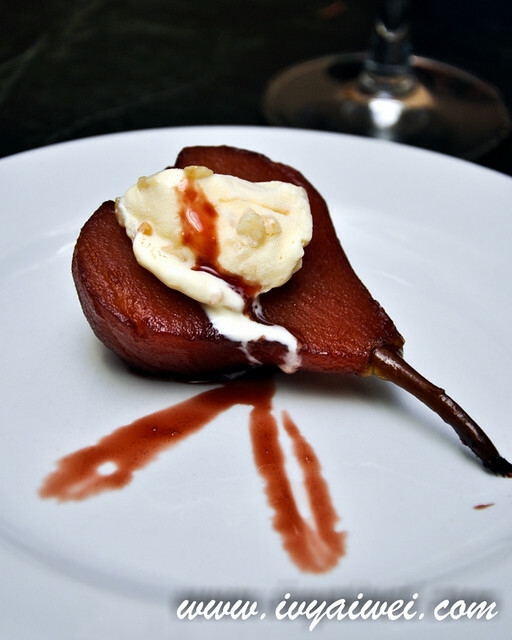 Luckily, recipes like this poached pear in wine are something not only delicious enough for Christmas but friendly for weight watchers everywhere. In a nutshell, poaching is the process of slowly simmering ingredients in liquids like water, wine, or milk. This is an ideal solution for cooking ingredients that are more likely to break apart or dry out when cooked using other methods. A lot of famous chefs and celebrities are known for featuring the process on their shows or websites, with Martha Stewart having no less than 24 different poaching recipes on her website. Since poaching pears is relatively easy, it is not surprising to see kitchen novices approach this recipe without worry. In addition, heating the wine causes a significant portion of the alcohol to burn away, making this a dish that’s safe for those minimizing their alcohol intake. 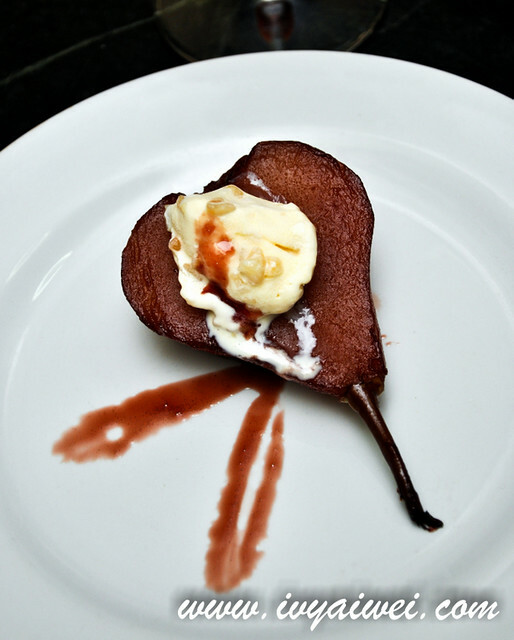 As for the wine—which is the base of the syrup—it’s not necessary to break out an expensive bottle for your poached pears. But since the flavour of the wine will become the strongest point of the syrup, it’s also important not to rely on cheap, bad wine. A UK-based retail company brings together some of the best wines from different parts of the world at a friendly price. M&S is able to bring a healthy assortment of wines to choose from (including the required Shiraz or Red Zinfandel) that are not only a good fit for the recipe, but are also enjoyable on their own. Find a balance that works for the budget without sacrificing taste. 1) Combine water, sugar, wine, anise, and cinnamon in a saucepan. Heat all the ingredients while stirring occasionally to help dissolve the sugar. 2) Make use of this time to peel and core the pears if this has not been done in advance. Pears should be cut in half lengthwise and the cores can be easily removed with the help of a melon baller. 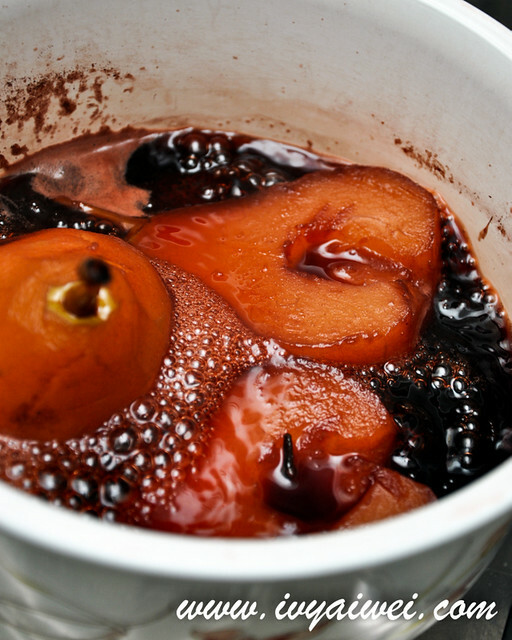 3) Once the pears are done, place them into the mixture and bring heat down to low. Cover and let it simmer until they become tender. This will take approximately 10 to 15 minutes to accomplish. 4) Gently remove the fruits from the mixture and set on serving platter. Continue to reduce the mixture by setting heat to high for about 20 minutes. 5) Transfer and filter the reduction to a separate container. 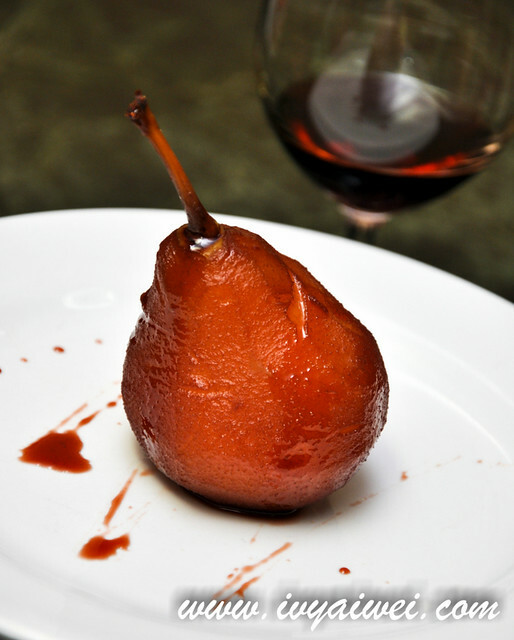 Drizzle the wine reduction over the pears when they are ready to serve. I love this recipe. It was my first time cooking (with a little twist – where I substituted water with lemon juice) this and I found this recipe is very simple to follow and taste great too! Since I couldn’t get the exact type of pears as stated, I just bought what’s available in the market. The pears were coated in ruby red, so pretty and heart warming. I have it served with a scoop of ice cream. The slices of hot wined pear with a spoonful chilling ice cream, with added macadamia nuts in it (I chose macadamia ice cream). Nutty, sweet and sourish at the same time. You can also serve it with warm chocolate sauce, or honeyed mascarpone cheese, or the simple whipped cream for a twist of flavour. Yes, it makes an awesome holiday dessert! Love them with a big scoop of thick yoghurt too. ohh yea yoghurt!!! another non fattening option. thank you!